A former funeral home owner in northwest Missouri has been charged with stealing and financial exploitation of the elderly. Missouri Attorney General Chris Koster’s office Tuesday filed eight felony counts in Ray County Circuit Court against Toby Polley, 47, of Lawson. Five of those counts are for financial exploitation of the elderly. Bond has been set at $50,000 cash-only, and the court has banned Polley from any contact with the alleged victims. Polley made his initial court appearance on Tuesday in Richmond. Koster is assisting Ray County Prosecutor Camille Johnston in the case. Koster says Polley allegedly stole from consumers by taking payment for pre-arranged funeral and burial services, and then failing to maintain the money in accounts to provide services at a later date. Koster says many consumers had to pay again for funeral services that were already paid for. Polley owned and operated funeral homes in three northwest Missouri towns: Richmond, Lawson and Excelsior Springs. They were known as Polley Funeral Homes, LLC. 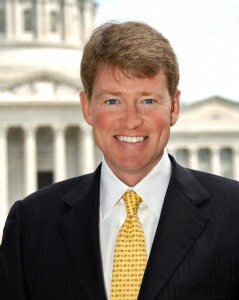 Koster says anyone who believes that they may have been a victim can file a complaint with the Missouri Attorney General’s office by calling the Consumer Protection Division Complaint Hotline. That number is 1-800-392-8222.